ElWafeyat.com brings important traditions and customs surrounding death into the digital realm. Remembering loved ones has long been a human tradition, whether via erecting monuments in their memory like the Ancient Egyptians and many other civilizations throughout history have done, or through eulogies dedicated to highlighting the deceased and their life. Historically in Egypt, the obituary pages across newspapers have been the dominant form of remembering those who passed and honoring their memory. ElWafeyat.com brings important traditions and customs surrounding death into the digital realm. It provides an appropriate way to honor departed family members and friends in the form of memorial pages. The online platform provides Arabic-reading users the chance to read and create obituaries and memorial pages dedicated to loved ones who passed away as well as the ability to send condolences. In addition to enabling users to post about their loved ones’ passing, it’s also a social platform that enables the user to interact by commenting, sharing and sending condolences. Currently, the website offers the ability to view latest obituaries and condolence announcements of all the local newspapers and have them delivered to you automatically every day on your email in the form of a one page obituary newsletter. Users wishing to create obituary announcements or send their condolences; in the form of an online post or a telegram. Users wishing to create obituaries and announcements can do so by paying the website directly. Users can also create memorial pages, which can have pictures, videos or charity planners, which are completely free of charge. The platform also offers offline funeral services to make the process easier for the family and friends and offers a guide for all the funeral procedures, relevant directory numbers and traditions. The website also features a memorial page dedicated to keeping the memory of famous individuals and allows people to send their condolences electronically and share via social networks. In addition to posting, individuals can also search for people using their full and/or last names. The website also functions by manner of creating a visual network representation of people who are related and builds out a family tree which connects the obituaries belonging to members of the same family together. ElWafyet.com was a graduate of Flat6Labs Cairo’s 6th cycle in 2013 and the company was launched as part of the Flat6Labs program. In addition to mentorship, workshops, various parks and working space, ElWafeyat.com had received an initial funding from Flat6Labs Cairo to the tune of EGP 75,000. 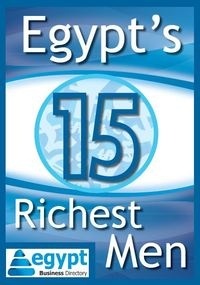 The company has since received follow-up funding to the tune of $100,000 from Cairo Angels. The rising popularity of using the website both for announcing obituaries and creating memorials for loved ones signifies the transcendence of the internet into all aspects of daily life; even death.